I’ve done a few videos on multiband compression — what it is, some techniques that incorporate multiband compression, etc., and I highly suggest checking those out (update: full workshop now available). However, I also thought it would be nice to give a basic run down of multiband and some common places I find myself using it. And as a side note for you jargon sticklers — yes, dynamic EQ is technically different from multiband compression, but functionally they are very similar. When I think of frequency-based compression, the words “tonal consistency” come to mind. For example, de-essing is generally a form of multiband compression, and it’s most commonly used when the sibilance in a vocal performance is too much. Here, the vocal could be dynamically fine, but the vocal tone is inconsistent because there’s a piercing upper frequency band that keeps poking out on every “s” and “t”. 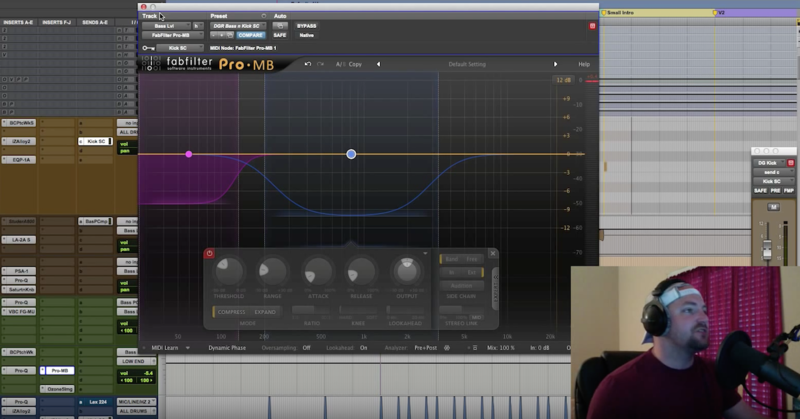 We use the de-esser to make the vocal more tonally consistent, and control those spikes. 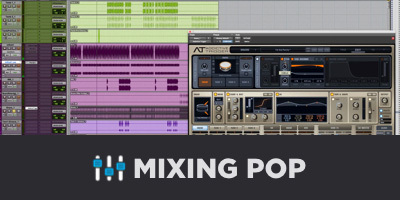 De-essing aside, here are three ways I tend to use multiband compression in a mix. In a lot of styles, a tonally dynamic vocal is very much appreciated. However, in Contemporary Pop, we’re often going for a vocal sound that is just vice-locked in place. At the same time, we also want a sound that is consistently present, but never harsh, and consistently full, but never muddy. I find that multiband compression particularly in the low-mids and/or upper-mids can achieve exactly that. A band from 150 Hz – 400 Hz is usually good for reacting to times that the vocalist may lean into the microphone, or incorporate a little more chest sound in her/his delivery. A band centered around 2 kHz – 3 kHz is usually good for catching those few times that the vocalist gets a little strident or tenses those neck muscles on a note. Bass guitar can be an impressively tricky instrument to get right (probably second on my list of most challenging after drums). 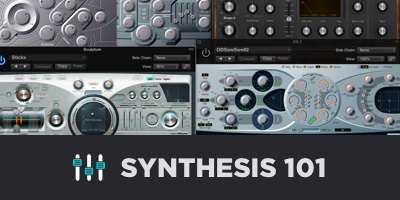 In order for a mix to be weighty, we want a consistent low end — but it’s amazing how fast a mix becomes lifeless if we start really messing with the dynamic changes in the bass. In order to preserve the sense of playing and dynamics, but still keep the low end heavy, I find multiband to be extremely useful. I’ll set my crossover point to separate the lows, basically everything under 120Hz, and the mids/highs — everything above. The stuff above that point is the articulation: the growls, finger noises, attack sounds and texture. That stuff loves dynamics. The low end stuff — that’s the fundamental tone — and I find more often than not the fundamental wants to be locked in solid. I’m generally pretty liberal with my low end compression. I want it to be thick, sustainy, and at the same level. The real magic is in the release time of the compression. If I go too fast I’m going to get modulation distortion, or the bass may just feel choked. If I go a bit too slow I don’t get that extra weight (I get punch, which can be good sometimes, but usually I want weight). Setting that release time is like adding salt to the recipe — how much is up to the chef, but there’s definitely such thing as too much or too little. Certain elements like cymbals and acoustic guitars can have an absolutely brilliant top end that I don’t want to mess with — except on certain reoccurring moments like finger slides or loud splashes. Because these moments can occur so frequently, going in and editing every single slide and cymbal hit isn’t going to be practical. I also generally don’t want the entire guitar or drum kit to duck out on those hits, so volume automation isn’t even always effective. A multiband compressor is a great choice for leaving these elements generally untouched while just reigning in those moments that get a little crazy. Now, these aren’t the only places I use multiband compression — just the times that I find I’m most commonly using it. I don’t think that multiband compression is the be-all-end-all of mixing, actually I think it can be a bit overrated, but it certain serves its purpose. 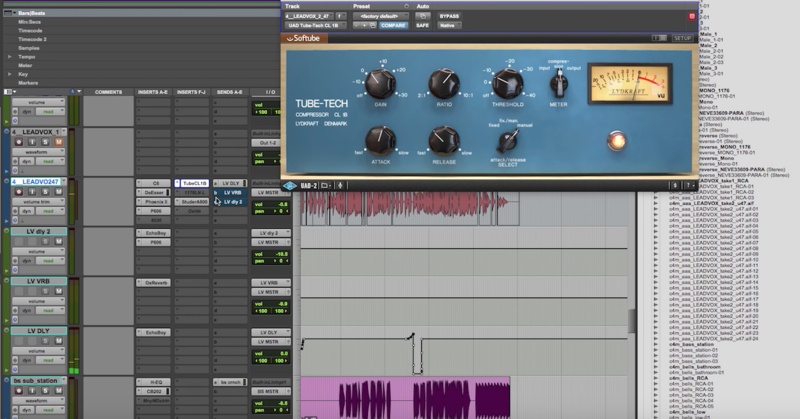 What are some of the ways you find yourself using multiband compression regularly?